Division of IT operates 18 computer labs around campus. All the computer labs have Windows operating system. In computer lab HT-204 there is also MacOS operating system and in Askja 166 there is also Linux. Further instructions for Linux are here. 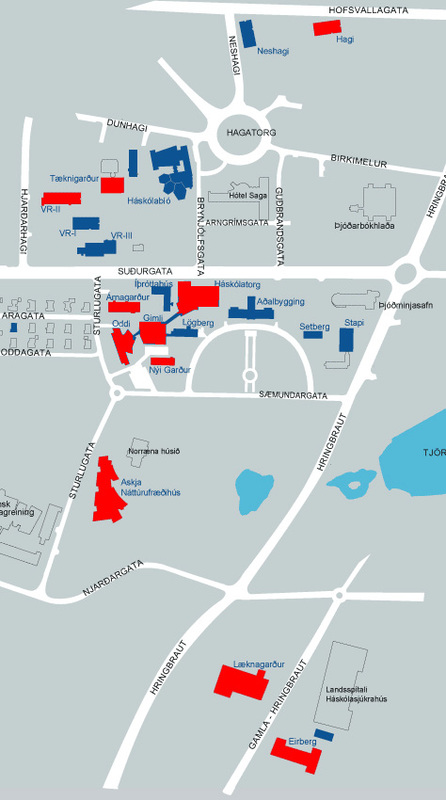 Click here to see in what buildings the computer labs are located in. In Ugla you can access the timetable for each Computer Lab. Click on Computing Services -> Computer labs -> Timetables. Everyone with a username and a password has access to the computers and can use the service to be found e.g. computer equipment, software, printing service and high speed internet service. The username and password you use to log on to the computers is the same as for Ugla. In the table below you can find other information about the computer labs. Click the arrows for further inforation. Show consideration to other users. It is not allowed to bring any food or drink in to the computer labs. Smoking is strictly forbidden. Users are expected to be tidy and show orderliness. Talking on the phones is not allowed. Users should leave the computer labs immediately if either, the building is about to close or when a teacher or other employers of the University requests it. Users disregarding the rules can expect to be ordered to leave the computer lab immediately!